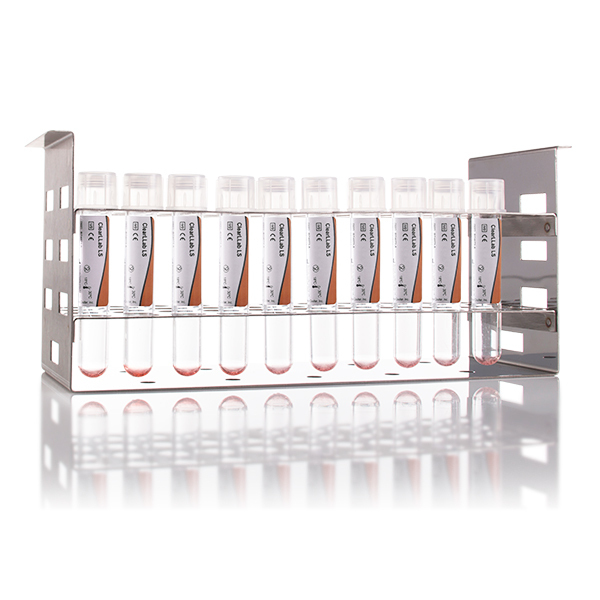 The ClearLLab LS (Lymphoid Screen) reagent is intended for in vitro diagnostic use as a screening panel for identification of various hematolymphoid cell populations by immunophenotyping on an Navios flow cytometer. The reagent is used as an aid in the differential diagnosis of patients with signs and/or symptoms of hematolymphoid malignancies. The reagent can be used with peripheral whole blood (collected in EDTA, ACD and Heparin), bone marrow specimens (collected in EDTA, ACD and Heparin) and lymph node specimens for immunophenotyping. The results should be interpreted along with additional clinical and laboratory findings. The reagents provide qualitative results for B, T, and NK lineages. The antigen specificity of the CD45, CD3, CD4, CD8, CD56 and CD5 monoclonal antibodies has been previously established by the First (CD4, CD8 and CD3), Third (CD5 and CD45),and Fourth (CD56) International Workshop for Leukocyte Typing. The antigen specificity of the CD20, CD19, CD10 and CD34 monoclonal antibodies has been previously established by the Human Leukocyte Differentiation Antigen Workshops. The application of Kappa and Lambda light chain analysis for immunophenotyping B lymphopoetic malignancies has been previously described in the flow cytometric immunophenotyping for hematologic neoplasms.